Disappearing blocks are highly popular thanks to Missouri Star Quilt Company. 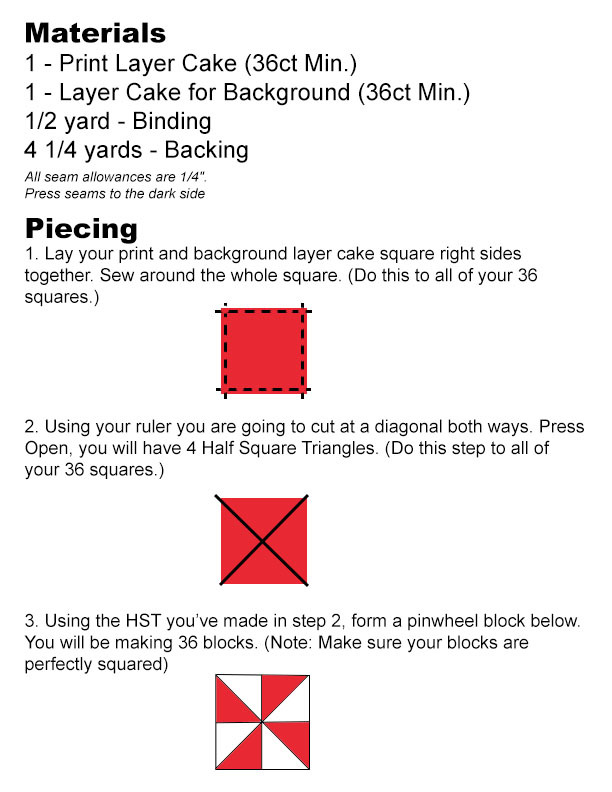 Here is another disappearing pinwheel method using layer cakes that forms a beautiful flower or a funky pinwheel. =P They reminded me of the flower called Day Lilies. 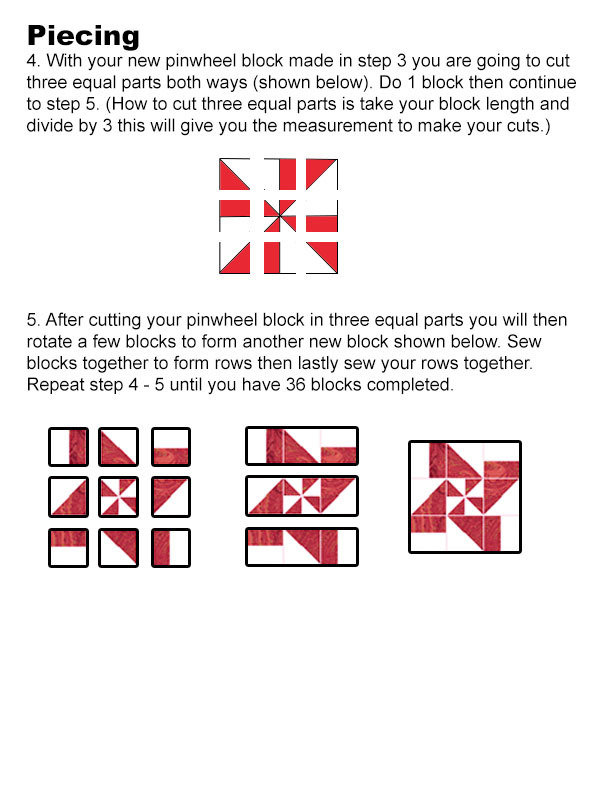 If you are not familiar with disappearing blocks, it is a method that is fast, easy and will give you a quilt that looks like you spent much time on piecing. 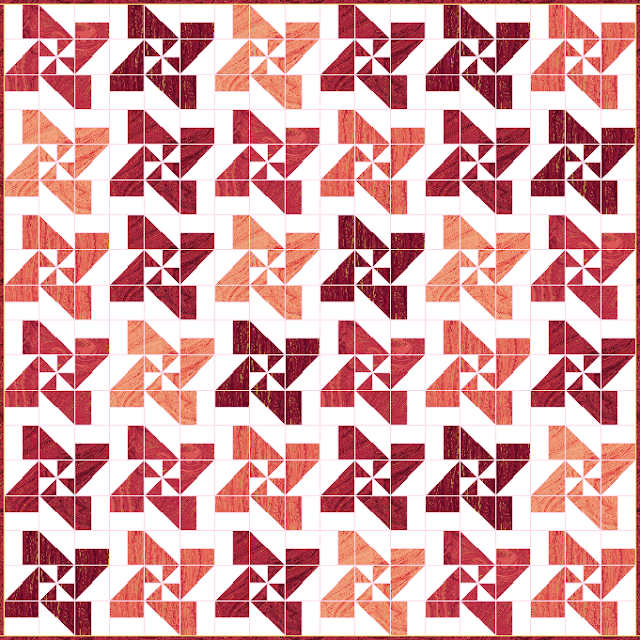 Finished Size is about 67" x 67". 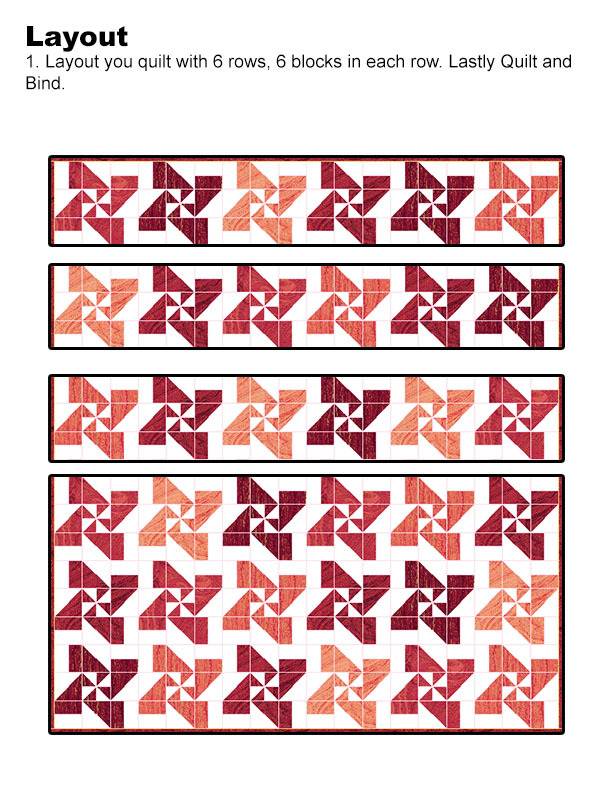 Yardage option for buying Coral Sandscapes are you will need 5 - 2/3 yards in Coral Shades cut into 10" by WOF strips (2 per each color), subcut into 10" squares which will give you 8 - 10" squares per color leaving you with 40 - 10" squares total. Your store site to download the PDF has been unavailable for several days.